Prepared with the most prized hazelnuts (Tonda Gentile) and acacia honey, the cupcakes made by the Cascina Rosa organic farm and bakery, are a typical and traditional sweet from the the Ligurian-Piedmontese mountain area, sadly no longer commonly available because it requires painstaking manual preparation using strictly organic ingredients. 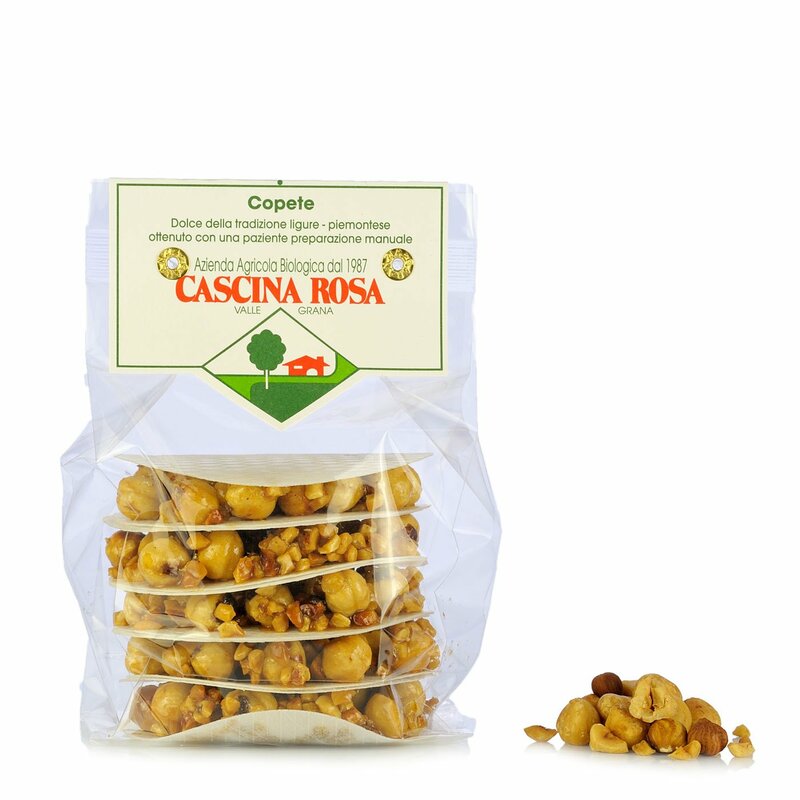 Ingredients *Tonda Gentile Trilobata hazelnuts, *acacia honey, *cane sugar, *lemon rind. Wafer (5%): potato starch, vegetable oils. *From ICEA certified organic farming. Allergens: Hazelnuts. For more information on product labels, please contact our Customer Service department. The information on the labels of the products may vary for reasons beyond our control, therefore, there may be discrepancies between the information on the site and that on the products delivered. Please always check the information on the product before consumption or use. Cascina Rosa is a small firm in Valle Grana, Piedmont: one of the region's narrowest Alpine valleys, carpeted with woodland and home to the ancient Madernassa pear variety. Cascina Rosa has been making its fruit and vegetable preserves, honey, fruit juices and a wealth of other specialities under strictly organic conditions since 1987, always working from the original 19th century farmhouse in which the firm was created. Cascina Rosa's experts prepare the ingredients with dedication, placing respect for the local area and environmental sensitivity at the forefront of their values.